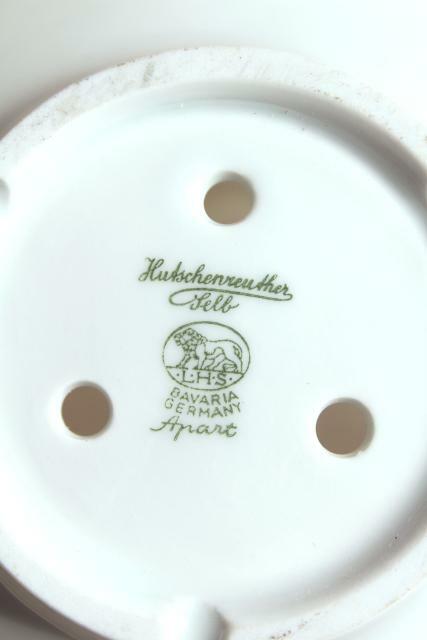 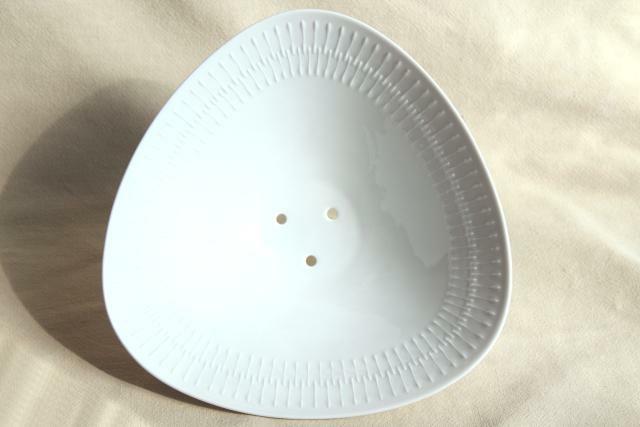 Hard to find pierced bottom bowl for fruit in the 50s 60s vintage Apart pattern Hutschenreuther china. 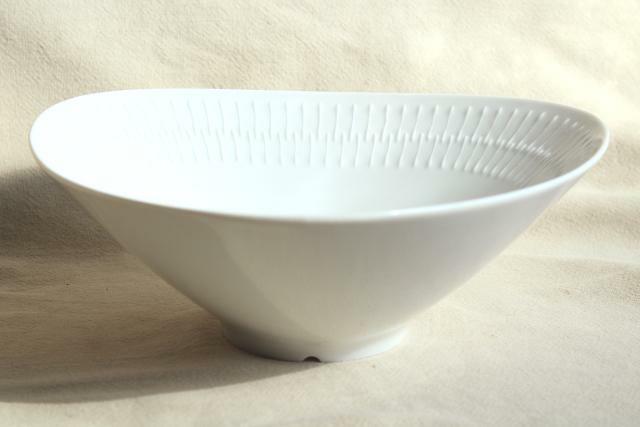 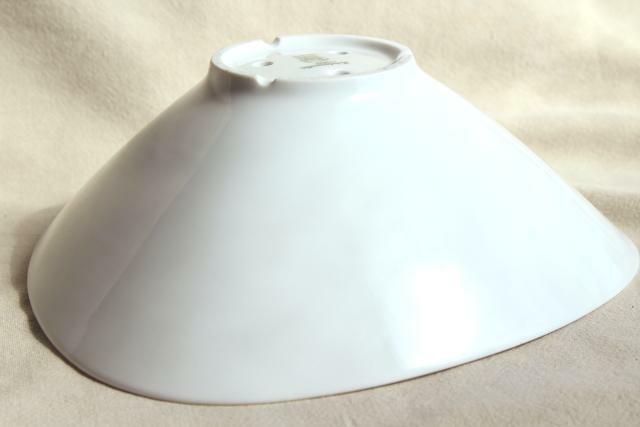 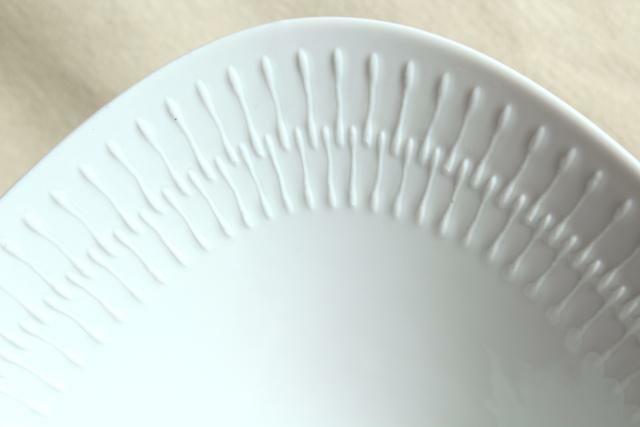 This is pure white with embossed pattern in a very mid-century modern design! 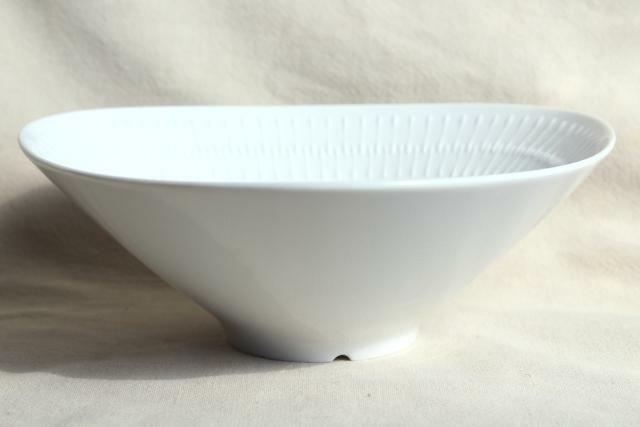 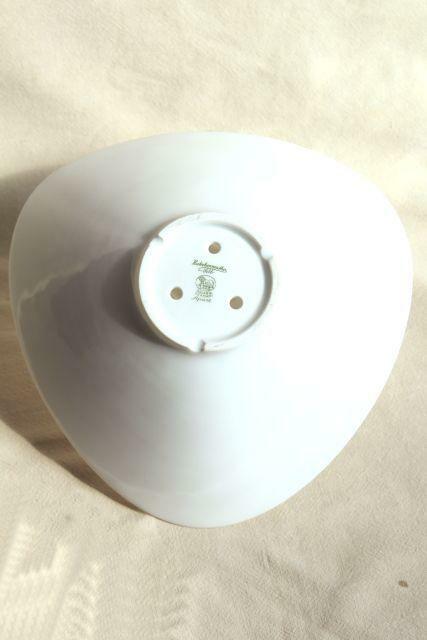 It's about 9" across the triangular shape of this bowl, nicely sized for an attention getting centerpiece or display. 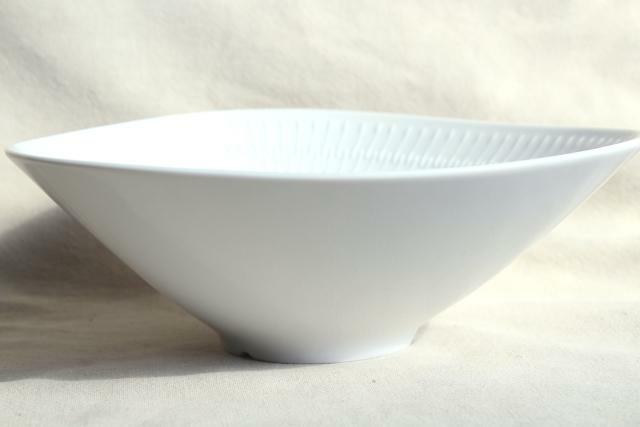 It's in excellent condition, never used.